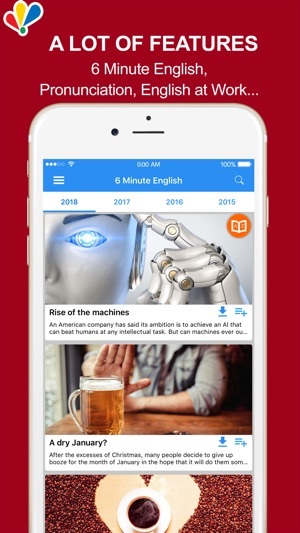 Learning English for BBC is free app to learn English and improve your English Listening, English Grammar, English Vocabulary from BBC Learning English. 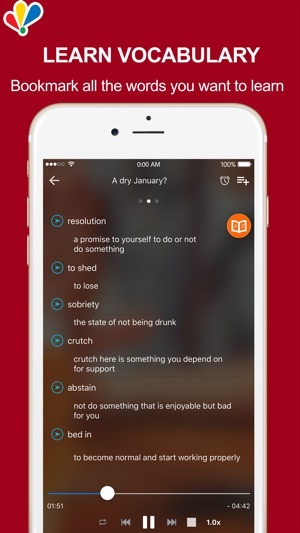 - Each lesson comes with audio, transcript and vocabulary list, which help you to improve your English Grammar and expand your English Vocabulary. 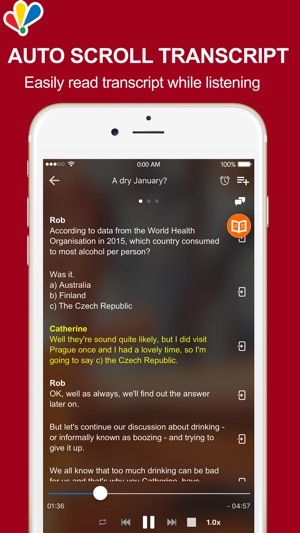 - You can test your English through fun English Quiz and Test. 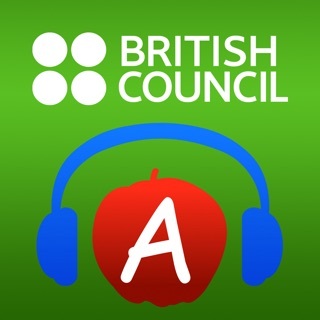 - 9 categories from BBC Learning English Program with audio, transcript, exercise and quiz. - Auto scroll lyric for transcript. - Auto update new lessons. The concept of this app is awesome but if you could add recent video, would be lot better. Because when every time I open the app, I have to refresh every section(like 6 minute grammar, 6 minute vocab and so on) which is frustrating. Please add a section in which every new sound goes there. We will try to complete App than more in the future. And if you like our App, please rate 5 stars, we will appreciate it! Thank you for your contribution, we appreciate it. We will try to add this feature button. I can’t see this app among my app that I purchased so that I can’t share it with family sharing. What should I do?